Jack of Kent in his latest has brightened all our days invoking the Python – not the spirit of the Delphic Oracle – the merry band of satirists who gave us such classic songs, phrases and sketches as ‘Every Sperm is Sacred’, “He’s not the Messiah, he’s a very naughty boy” and the scene from ‘Monty Python & The Holy Grail’ in which a woman has been dressed as a caricatured witch to force a prosecution. 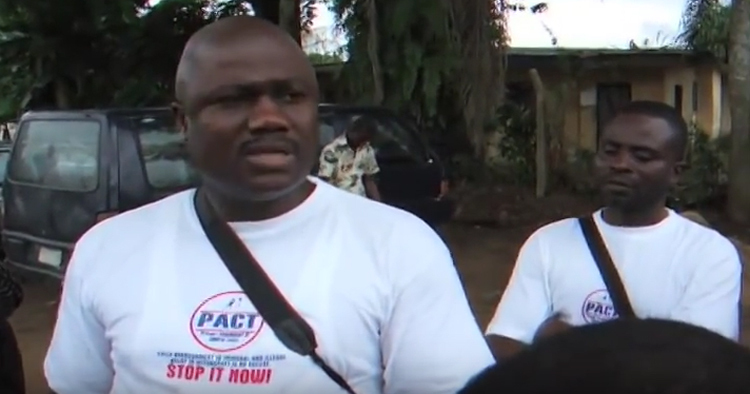 On the 30th July, a child’s rights conference in Calabar, Nigeria on the subject of ‘Child Rights and Witchcraft’ was raided and temporarily halted by supporters of an evangelical church, ‘Liberty Foundation Gospel Ministries’. The church had gained international notoriety after its leader, Helen Ukpabio, was featured in a BAFTA and Amnesty award winning documentary Saving Africa’s Witch Children which was broadcast in the UK in late 2008. Mrs. Ukpabio herself can be seen relating her views here.